landing in Tribhuvan International airport at Kathmandu, you could have some excellent views of the snow-capped mountains. Meet with the tour coordinator Sanjib Team at the airport upon arrival and transfer to the hotel. Enjoy the scenic drive early in the morning to Charudi, where you will go rafting on the Trisuli River. This exhilarating rafting experience includes 2-3 grade rapids. After lunch you will drive to Pokhara. After breakfast, visit the sights in the Pokhara Valley, including Bindabasini Temple, Davis Falls, and a Tibetan refugee camp. 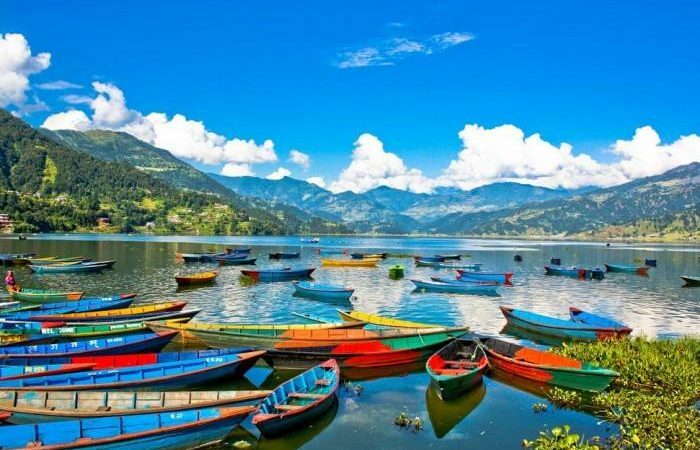 Enjoy a boat trip on Phewa Lake, the second largest lake in Nepal, and visit the Bharahi Temple on the way. After lunch you will drive to Sarankot. Stay overnight at the Sarankot trekking lodge.